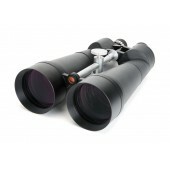 For maximum stability and secure optical alignment, the 80mm and 100mm SkyMaster models feature enhanced structural reinforcement to the main binocular body. As an additional convenience, the 80mm and 100mm SkyMaster models also include an integral super rigid photo tripod adapter. The SkyMaster Series binoculars are built to provide years of magnificent views of the world around you and the heavens above. 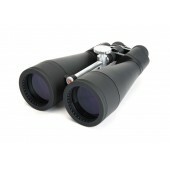 The 8x56 and 9x63 models are waterproof and feature a shock-resistant rubber covering, and twist-up eyecups. 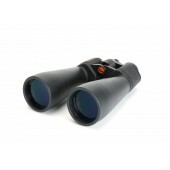 They also provide superb image quality with BAK-4 prisms and fully multi-coated optics. Their excellent depth of field gives a good overview without the need for constant refocusing. The high power zoom models (20-100x70 and 25-125x80) make it easier to see details at extreme powers when conditions allow. 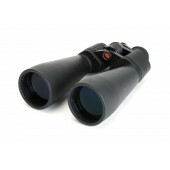 Over View 15x magnification porro prism binocularLarge 70 mm objective lens offers maximum image br..
Over View 20x magnification porro prism binocularGiant 80 mm objective lens offers maximum image br..
Celestron’s SkyMaster Series of large aperture binoculars are a phenomenal value for high performa..